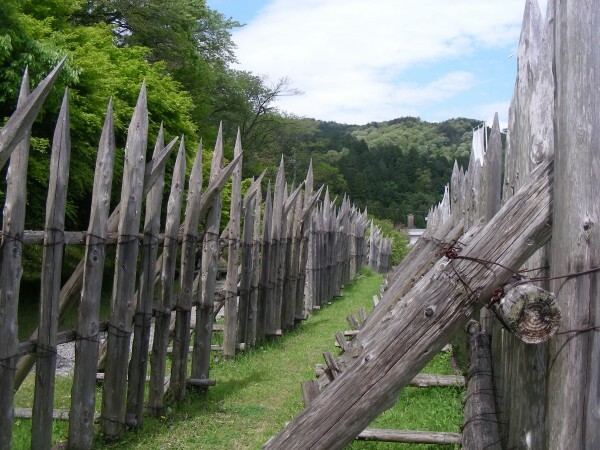 Umabosaku – Barriers to prevent cavalry from overrunning infantry positions. Our first stop is the battlefield of Sekigahara, where Tokugawa Ieyasu defeated the coalition led by Ishida Mitsunari and established the hegemony which would rule Japan for the next 268 years. Located on the western edge of the flat plain currently dominated by the sprawling metropolitan area of Nagoya, the narrow pass was a choke point between eastern and western Japan. Even today, the shinkansen, expressway and Tokaido main line pass through here. 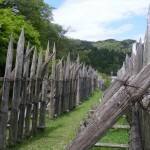 In 1600, the valley was the site of the largest and bloodiest battle in Japan’s long history of civil war. The victory here by Tokugawa Ieyasu, filled the power vacuum that had been created by Toyotomi Hideyoshi’s death in 1598. We will observe the battlefield from the viewpoint of Ishida Mitsunari, Ieyasu’s rival, who purported to be acting in support of Toyotomi Hideyoshi’s young heir, Hideyori. This battle (and many others such as the sieges of Fushimi Castle) effectively marks the beginning of the Tokugawa Shogunate. We then head to Lake Biwa (Japan’s largest lake) and take a boat to Chikubu – the “island of the Gods” with Hogonji temple and the Tsukubusuma shrine. The famous Funa-roka. 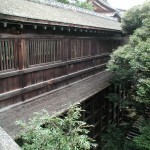 A kakezukuri-style corridor connecting Kannon Hall with the Jinja. 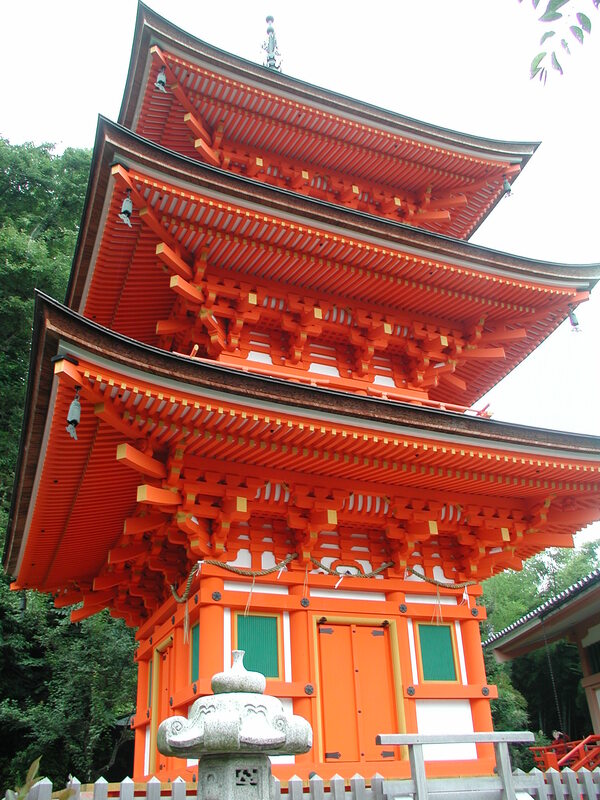 Built using the timbers of Hideyoshi’s ship, Nihonmaru. The shrine incorporates as a bridge, part of the ship that Toyotomi Hideyoshi used for leisure, and for travelling to Kyushu to co-ordinate his invasion of Korea in the 1590s. The scenery and architecture is spectacular. Bring your camera! 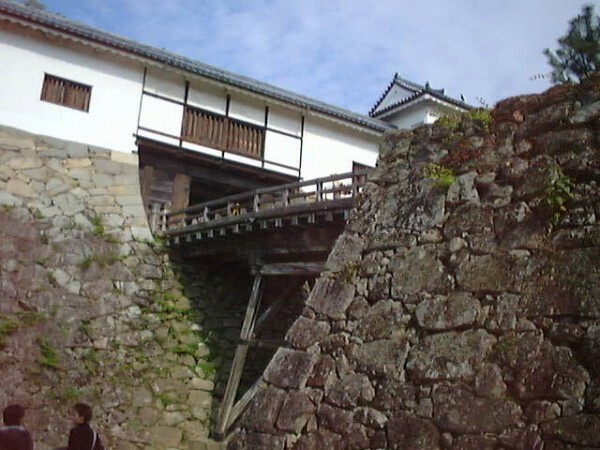 We will then head to Mount Sawayama, to see the ruins of Ishida’s castle, destroyed in a siege immediately after the battle. It is a short hike, but provides great views of Hikone Castle and the lake. 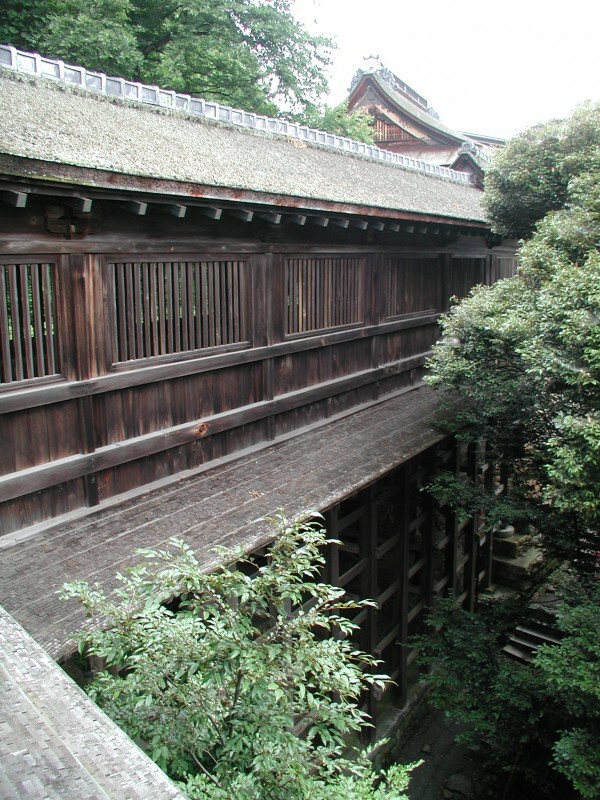 On our descent, we will visit Ryotanji, a beautiful Zen temple at the foot of the mountain with close connections to the Ii family – who were given Sawayama as a reward for their long standing loyalties to Tokugawa Ieyasu, and became the Daimyo of Hikone as well serving as the Chief Ministers of the Tokugawa Shogunate throughout the Edo Period. Many prominent Ii family members spent time here, including Ii Naosuke, who as Chief Minister opened Japan to foreign trade following the arrival of the American Black Ships commanded by Commodore Perry, and was assassinated in the snow outside the Sakudamon Gate of Edo Castle for his efforts. Ryotanji (the kanji characters are the same as those used for Ryotanji in Shizuoka) has an exceptionally beautiful karensansui rock garden. We end the day with a visit to Hikone Castle, one of only 12 Edo-period castles left in Japan that have managed to retain their original donjon, and one of only 4 registered as National Treasures. The famous warrior Ii Naomasa was given control of the lands around Hikone as a reward for his bravery and success at Sekigahara (he never recovered from his wounds and died in 1603). Realizing that Japan was finally entering a period of peace, he and his sons built Hikone Castle in order to be closer to the lake shore. 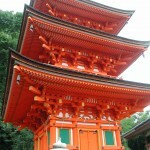 Although small in scale, it is considered to be aesthetically the most beautiful, and several other interesting buildings including the Tenbin Yagura, and Nishinomaru Sanju Yagura have also survived. 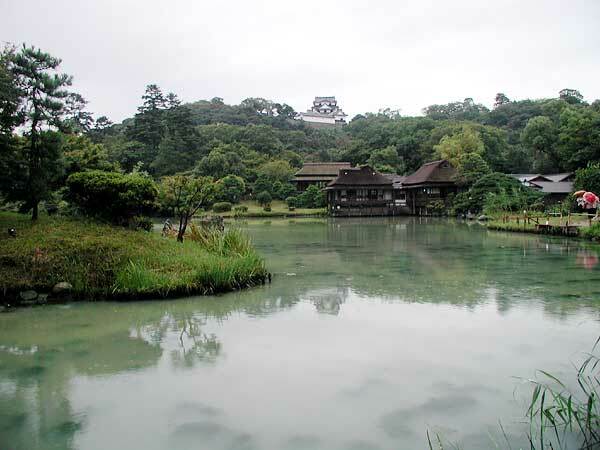 View across the pond of Genkyu-en. Tea houses next to pond, castle keep in the background. Located next to the castle is a wonderful example of a daimyo’s stroll garden, the Genkyuu-en. Constructed some 50 years after the completion of the castle, this beautiful garden was designed using the records made by Japanese missions to Tang China during the 7th to 9th centuries. The Ii daimyo built a secondary residence in a side garden called the Rakuraku-en which has survived to this day, (their main residence is lost and is now the location of a museum) along with tea houses to use for entertainment purposes. The Rakuraku-en, with a dry pond and dry waterfall in the foreground, and skillful use of borrowed scenery to perfect the viewlines beyond, is a perfect spot to relax. 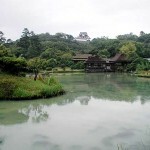 The pond has several small islands and from different vantage points you can quickly see how the Emperor Meiji became enchanted with this place. 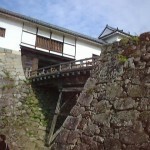 It was the Emperor who requested that Hikone Castle be spared the widespread demolition of castles in the early 1870’s.